This 2016 image courtesy of the photographer Laurie Mulrine, it was 1st posted here: SAR Class 7: 980, Klerksdorp station platform, North West Province. 05.10.2016. 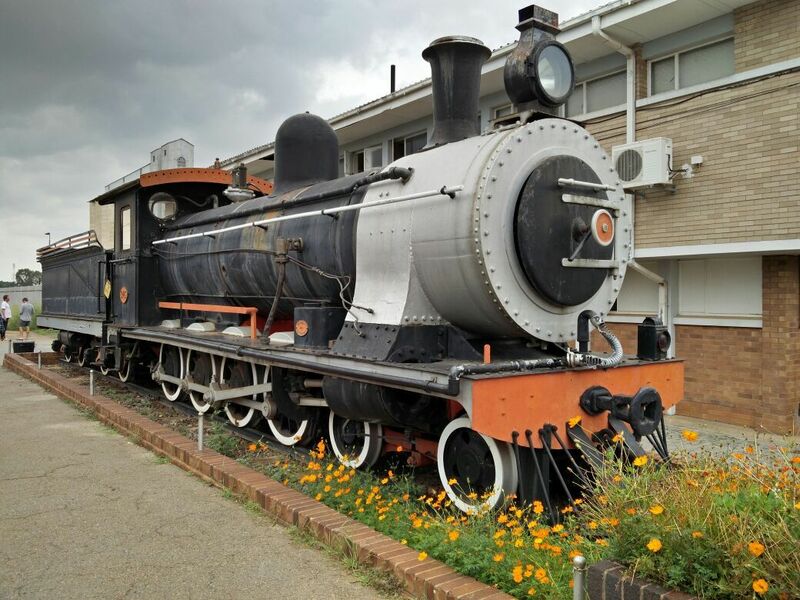 This 2016 image courtesy of the photographer Laurie Mulrine, it was 1st posted here: SAR Class 7: 980, Klerksdorp, North West Province. 05.10.2016. This 6 January 2017 image courtesy of Luca Lategan. 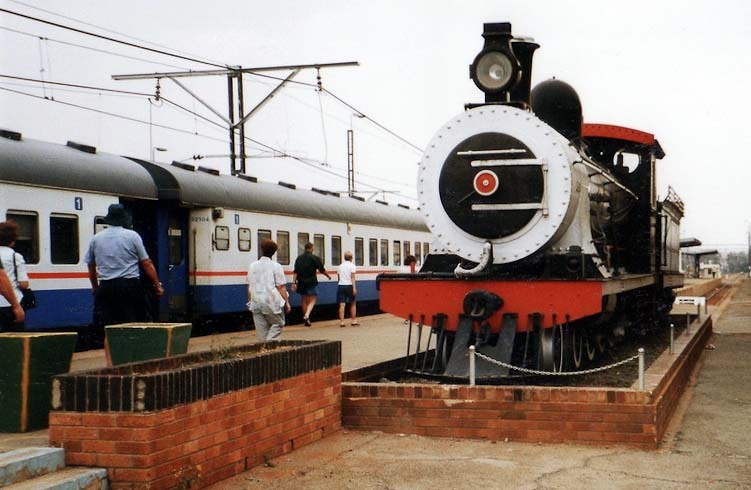 October 2003: Photo courtesy of Jacque & John Wepener. 30 January 2004: Photo taken by Hennie Heymans. 23 August 2007 photo courtesy André Kritzinger. 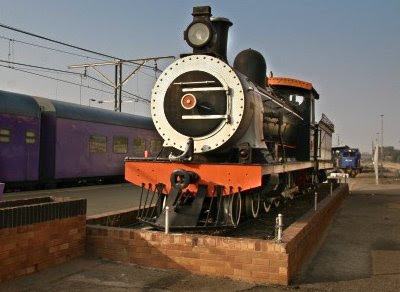 At Klerksdorp station, on the platform, in front of the station building, a 1892 locomotive is often inspected by overseas train passengers when their trains take a brief pause. 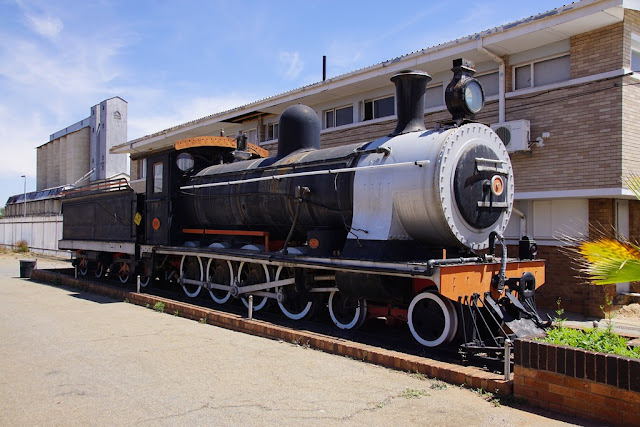 This is a SAR class 7 #980 locomotive built in Scotland and some of its Class kin are plinthed at Upington station (#950), in Riversdale town (#970), at the Boer War Museum in Bloemfontein (#975) and in Matjiesfontein Village (#987). 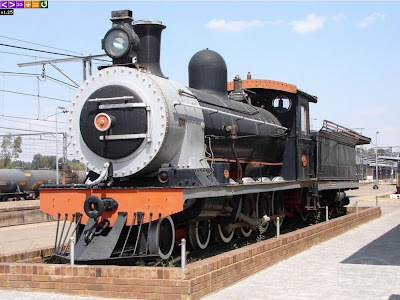 These were the main goods locomotives for the last 20 years of the Cape Government Railways, the design prepared in 1890 by H.M.Beatty. 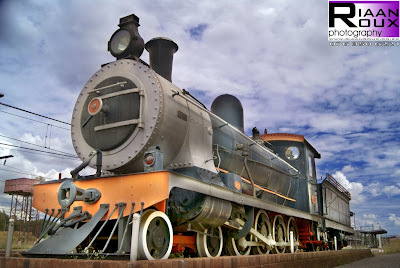 All the locomotives in this series originally used saturated steam, had plate frames and Stephenson's link motion. 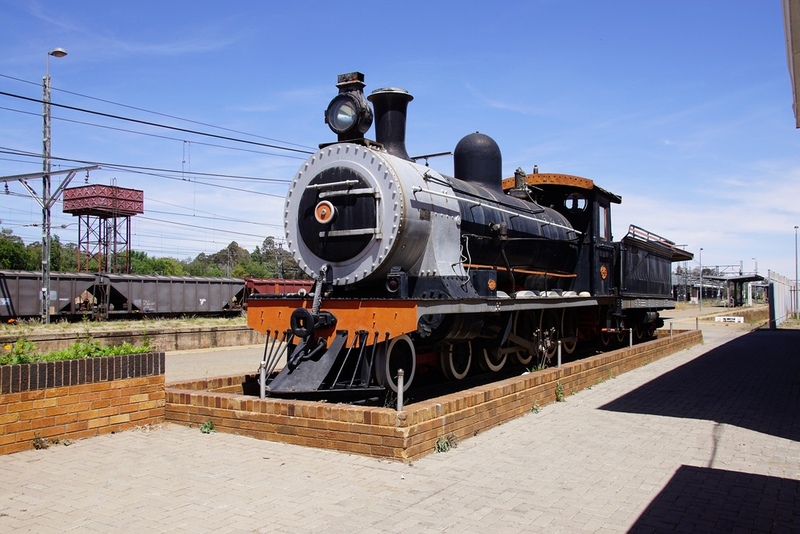 Duncan wrote in his journal: "We had just started breakfast when the train pulled into Klerksdorp railway station. 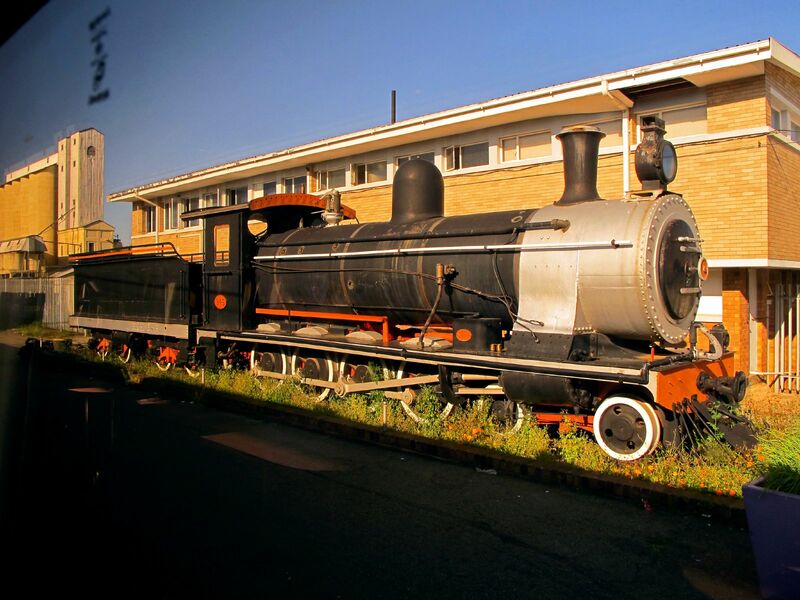 I noted an old neglected steam locomotive, surrounded by rubbish and daubed with graffiti, sitting next to the station building. I had to go out and take a couple of pictures. One or two other passengers, including our Irish dining companion joined me. 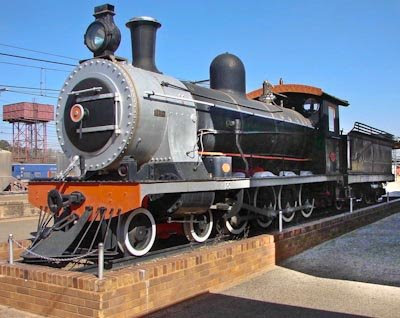 He closely inspected the engine and said that it had been built in Glasgow in 1892. 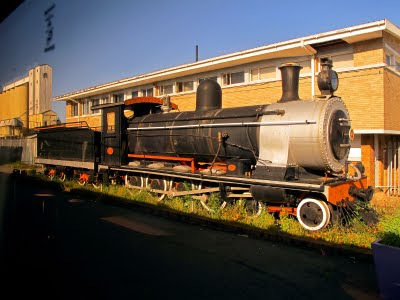 Yet another Scottish steam locomotive." 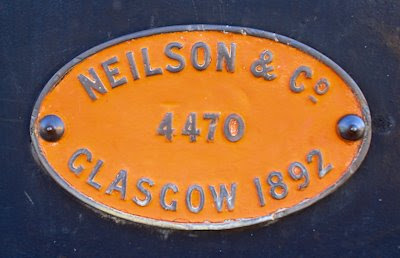 This plate contains the original builder works number. 20 Sept 2009: Photo courtesy Andre Kritzinger. 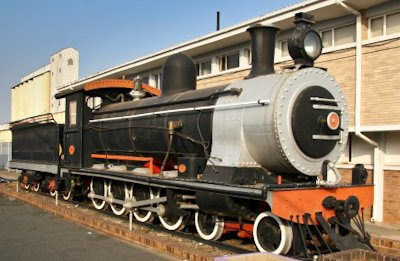 The locomotive has a 4-8-0 wheel configuration. 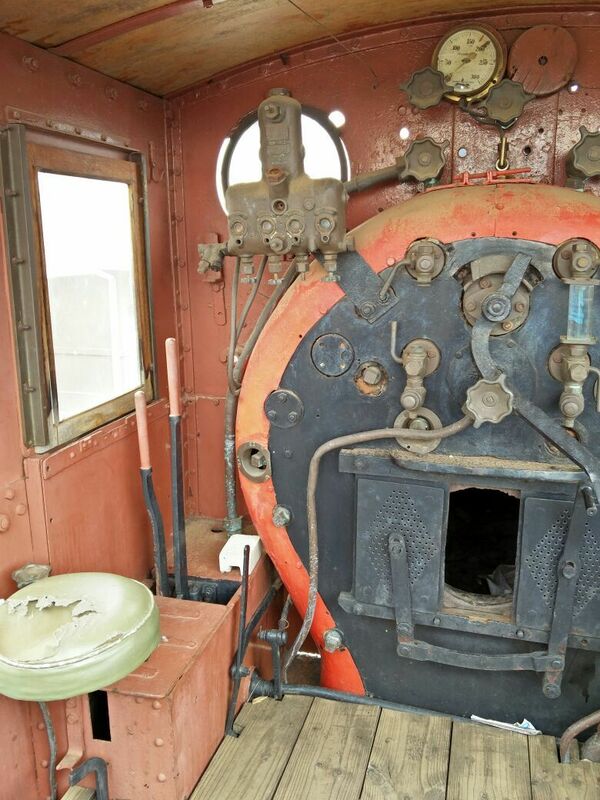 The cylinders are a 17"x23" design and the driving wheels are 3 feet 6.75 inches in diameter. The engine had a working weight of 45 tons, and the total length of the locomotive and tender measures 50 feet. The boiler pressure was limited to 160 lb/sq. in. 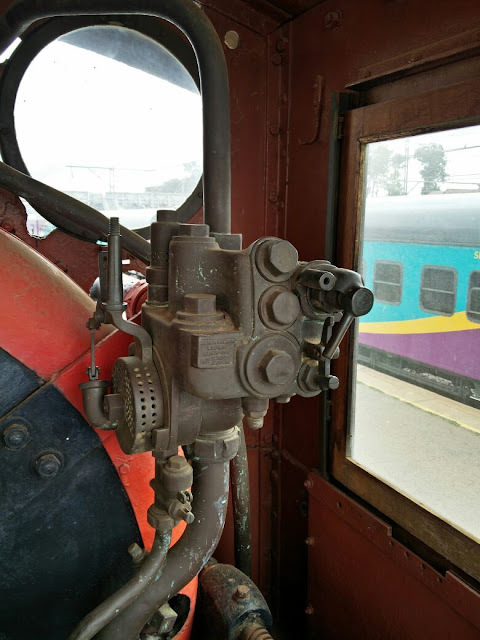 Klerksdorp 5 Feb 2011 via flickr photographer Jeffrey Hotson from inside a Premier Classe Train: Amazingly the locomotive still has much brass & copper stuff left on its body! [Check the enlarged photo by clicking on the image.] 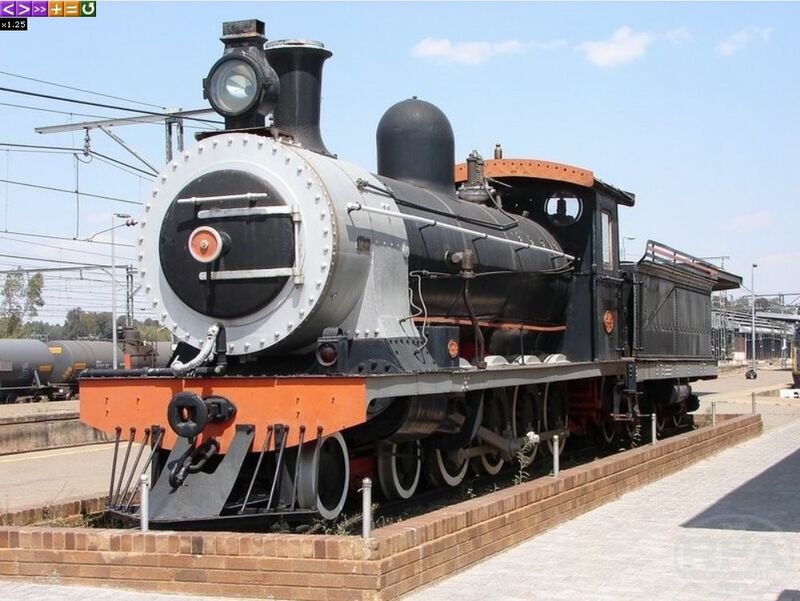 Obviously thanks to Spoornet Security. Otherwise it seems no-one else cares about it.